Indian Trail, NC (28079 zip code) housing market information, which includes the towns of Stallings, Hemby Bridge, and Lake Park in Union County, updated for October 2018. 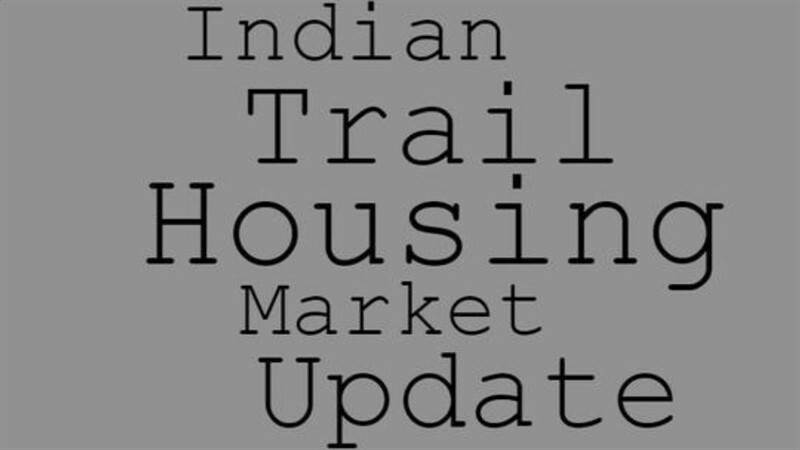 Home sales in the Indian Trail area continued the trends we’ve seen since 2017 and all this year-to-date with sale prices increasing and availability of affordable inventory decreasing. The average sale price of Indian Trail area homes increased by 7.1% to just over $266,000 as compared with the same period one year ago. Median home sale prices also increased by 9.4%. Average days on market for property listings increased by 16 days to 54. Median days on market also increased by 11 days to 23 days in October 2018. Average price per square foot dropped by 5% to $115/square foot in October 2018 versus the same period in 2017. Pending sales were down 16.9% in October 2018 versus the same month last year. October closed sales increased 8.6% compared with one year ago. Housing inventory was up 2.9% in October 2018 with 2.6 months supply of inventory (up 1/10 of one month). New listings were down 11.7% compared with one year ago, more than likely impact the pending sales numbers in October 2018. The median percent of original list price that sellers received for their homes was 98.1%, showing minimal negotiating room for Indian Trail/Stallings area homes. It continues to be a seller’s market in the 28079 zip code and a competitive environment for home buyers in the Indian Trail area. And this would not appear poised for change as we look towards the end of the 2018 selling season in the coming two months. WONDERING WHAT YOUR INDIAN TRAIL/STALLINGS HOME IS WORTH? This Charlotte, North Carolina real estate monthly update for Indian Trail and Stallings, NC in the 28079 zip code is provided by Nina Hollander and Carolinas Realty Partners, Coldwell Banker Residential Brokerage, your Charlotte metro area residential real estate experts and Indian Trail specialists. Indian Trail, NC (28079 zip code) housing market information, which includes the towns of Stallings, Hemby Bridge, and Lake Park in Union County, updated for Ocober 2018. Home sales in the Indian Trail area continued the trends we've seen since 2017 and all this year-to-date with sale prices increasing, days on market decreasing, available inventory decreasing, putting a strain on pending and closed sales.